The mega worldwide success of SS Rajamouli’s Baahubali 2: The Conclusion and Aamir Khan’s Dangal, has put the spotlight on Lyca Productions. 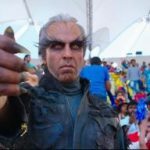 They are the producers of the Rajinikanth-Akshay Kumar starrer, 2.0 (directed by Shankar), scheduled for a worldwide release on 25 January 2018 in Tamil, Hindi and Telugu — just in time for the big Republic Day weekend. Lyca Productions is under pressure from Rajinikanth fans and the trade to make 2.0 a bigger hit than Baahubali 2. 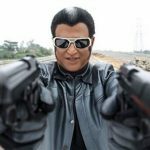 It is touted to be one of the last releases of Rajinikanth, who is now all set to step into a different avatar — that of a politician. As of now, the superstar’s Kaala, for which shooting is still going on, will only release in the summer of 2018. Hence, a lot is riding on 2.0. Baahubali 2 has grossed more than Rajinikanth’s all-time blockbuster Enthiran (aka Robot) and beaten its seven-year-old record in the superstar’s home turf: Tamil Nadu. Earlier, the only records 2.0 would have had to break would have been those for Rajinikanth’s Enthiran and his last release Kabali. However in the post-Baahubali 2 era, things are different and the expectation meter has gone through the roof. At last count, Baahubali 2’s worldwide gross stood at around Rs 1,684 crore (after 50 days of its theatrical release) while Dangal was inching towards the Rs 2,000 crore mark (having already earned Rs 1,930 crore at the time of publishing this column) thanks to its gargantuan business in China. Compared to Baahubali2 and Dangal, the worldwide business of Rajinikanth’s last release Kabali was around Rs 600 crore — not even in the Rs 1000 crore club! 2.0’s production costs and pre-release business are already being compared to Baahubali 2. Now the big question being asked in the trade and on social media is whether the combined power of Rajinikanth and Akshay Kumar will be able to come near or surpass the blockbuster business of Baahubali 2 and Dangal. Already, Zee has bought the 2.0 satellite television rights in all three languages it is releasing for a whopping Rs 110 crore — more than what Baahubali 2 was purchased for. 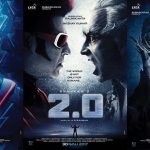 In the second week of June, Anil Thadani’s AA Films — which distributed Baahubali 2 along with Karan Johar’s Dharma Productions — took over the Hindi/North India distribution rights for 2.0. As per sources, it is a distribution deal whereby AA Films will do the theatrical distribution of the film in North India territories for Lyca Production on a commission basis. Raju Mahalingam, the creative head of Lyca Productions tweeted: “Glad to announce our association with AA Films. Lyca Productions to distribute the Hindi version of 2.0 through AA films of Bahubali 2 fame”. But there are unconfirmed rumours that AA Films has purchased the rights on an MG of Rs 80 crore. 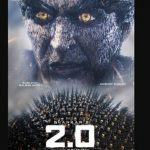 Lyca Productions has said that 2.0 is the costliest Indian film made so far, at Rs 400 crore, which is higher than the combined budget of Baahubali 2 and Dangal.